This property enjoys a quiet location in rural mid-Dorset just a stroll away from two village pubs and a handy village shop. The towns of Sherborne and Dorchester are both within easy reach of the property both of which have plenty to offer day-trippers including Sherborne s two castles and imposing Abbey and Dorchester s numerous unusual museums. Just thirty miles south of the property lies the sheltered horseshoe-shaped bay of Lulworth Cove and a short distance around the coast the iconic Durdle Door. Or perhaps you would prefer the large sweeping beach at West Bay recognisable to many as the location for the TV series Broadchurch. Guests enter this delightful barn conversion property directly into the spacious open-plan lounge/diner with its two deep sofas which are gathered around the warming wood burner Smart TV and DVD. The dining area is set off to one side beyond which an archway leads through to the kitchen which is well-equipped with an oven hob microwave American-style fridge/freezer dishwasher and washer/dryer. Also on the ground floor is a handy cloakroom with a WC. Stairs lead from the living space to the first-floor accommodation where there are three bedrooms. The first of these is a double room which benefits from an en-suite bathroom with shower-over-bath and WC as well as doors which open onto a Juliette balcony. The second bedroom is a twin room whilst the third has a single bed with an additional pull-out bed. The bathroom also located on the first floor offers a shower-over-bath and WC. Outside the property has a private patio with garden furniture which makes a lovely quiet space to sit and enjoy the tranquil surroundings. Guests also have full use of the spacious shared grounds which include two pretty lakes and a children s play area with a slide and climbing frame. 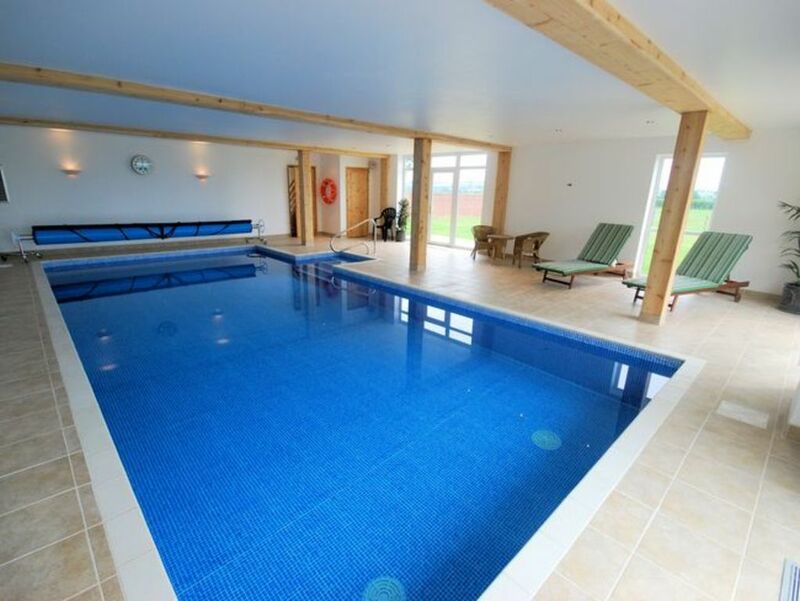 The fantastic indoor heated swimming pool is open to all guests from 8.30am -8pm each day although times may vary as it is sometimes this booked for private use. (There is an up-to-date timetable provided onsite). There is ample parking facilities.